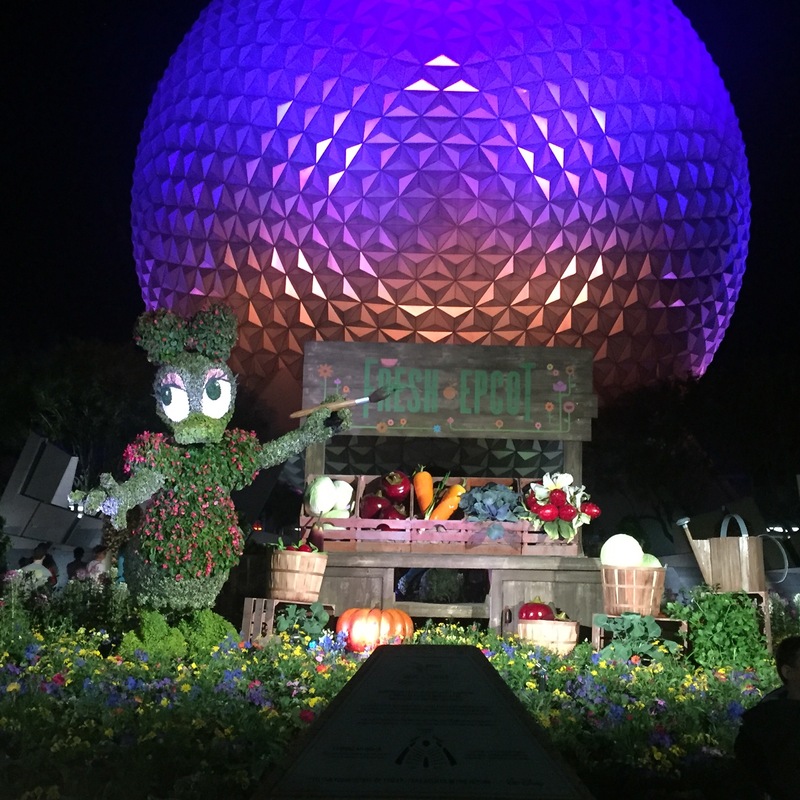 We are just a few months away from the 2017 Epcot Flower and Garden Festival, which kicks off on March 1 and lasts until May 29. (That’s 90 days of gardens, character topiaries, entertainers and food and drink offerings.) This year will feature a number of new things for Guests to enjoy. To begin with, there will be two new Outdoor Kitchens that will join the thirteen returning dining kiosks. I am excited to learn what these new kitchens will offer, since I love the fresh food and beverages that this festival serves each year. One of my favorite things about the Epcot Flower and Garden Festival are the topiaries. This year, there will be an all new Belle topiary from Beauty and the Beast. Belle will be a new generation of topiary that will feature facial features, much like Snow White, Anna, and Elsa currently have. She will be seen wearing her famous yellow ball gown. Each year, the front entrance topiary garden display will be inspired by vintage Walt Disney short films. It will include a floral maypole featuring Mickey, Minnie, Daisy, and Pluto. There will also be topiaries of Donald Duck and nephews Huey, Dewey and Louie which will be found in Future World in front of Spaceship Earth alongside Chip and Dale who are there for a selfie and family photo opportunity. Another new topiary for this year will be a 6-foot-tall topiary of Figment from the Imagination pavilion! In addition, the Anna and Elsa topiaries will return to the Norway pavilion festival landscape to celebrate Frozen Ever After. There will be nearly 100 festival topiaries in all, 70 of which will be character creations such as Snow White and the Seven Dwarfs, Lady and the Tramp, Simba, Timon and Tinker Bell. Do you enjoy the Garden Rocks concert series? This year, it will expand to four days each week! Concerts will take place Friday through Monday and will include pop musicians that span multiple genres over the past four decades. There will also be Garden Rocks Dining Packages that will be available this year. For kids, the interactive play gardens will be reimagined with the Cars themed garden seeing a new character topiary that will be found in the upcoming Cars 3 sequel that will debut in theaters in June 2017. In addition, the Music Garden Melodies play area will return with new garden and topiary elements. To celebrate Earth Day, Guests will be able to encounter garden surprises and special appearances. In addition, the fantastic Butterflies on the Go garden will return. Oh and on the way to Soarin’ Around the World in The Land pavilion, guests can discover gardens featuring edible flowers, plants that benefit health and healing, and a pollinator paradise. 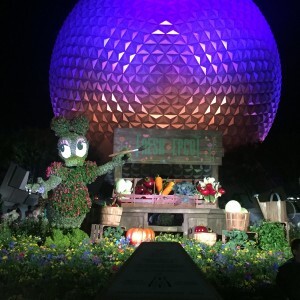 The Epcot Flower and Garden Festival is included with your regular park admission. What makes Belle’s yellow ball gown “infamous”? That makes no sense. Yeah, “famous” is the word for it.